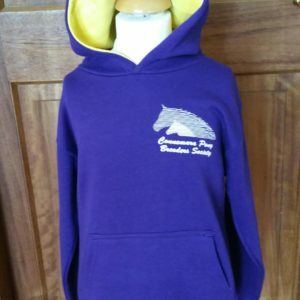 The Connemara Pony Breeders Society was originally established in 1923 for the purpose of taking steps that would lead to the preservation and improvement of the Connemara Pony. Prior to this the work was undertaken by the Congested Districts Board, which was established in 1891. The Boards objectives were to try to encourage the people living in the over populated areas of the western seaboard to improve their way of life. As one of these measures the board had introduced a variety of different stallions into Connemara to improve the breed. Many of the stallions introduced by the Board were considered to be very unsuitable for crossing with the Connemara pony and the results from crossing with the native mares were very unsatisfactory. In his study of 1901 Profession Ewart, M.D.F.R.S. of Edinburgh University who was commissioned to survey the West of Ireland in consultation with local experts to study the actual conditions and possibilities of developing the Connemara Pony suggested that a more developed breeding plan was needed than sending in high-class sires to the area. There was recognition of the need to have quality brood mares as well as quality sires, located at indigenous stud farms to perpetuate the best characteristics of the Connemara Pony. The primary objectives of these farms was to increase the bone and improve the makeup of the Connemara Pony without destroying the hardiness, vigour, stamina and temperament of the breed. The report lay unheeded for many years until the Connemara Pony Breeders Society was formed in 1923 and one of Ewart’s suggestions for the improvement of the breed was acted upon when the Society decided to select the best mares and stallions from within the breed to form the foundation stock for the Stud Book. That the Galway County Committee of Agriculture be asked to give a grant of £100 and also the Department of Agriculture to be asked for another £100. The former to enable to the Society to offer free nominations to mare owner, and the latter for purchasing the necessary number of stallions and for the organising and giving of prizes at a local show during 1924. The encouragement of the breeding of Connemara Ponies and their development and maintenance as a pure breed. The publication of a Stud Book for animals that have been passed as eligible for registration. To arrange for the purchase of suitable registered stallions of the Connemara pony breed and for their location at approved centre. To hold an Annual Show and arrange for classes and prized at selected shows. To make arrangements for exhibitions and for special sales of registered ponies, with a view to encourage home and foreign trade. To co-operate with the Department of Agriculture, the County Committee of Agriculture, and the Royal Dublin Society with a view to more effectively promoting the work of the Society. In May 1924 the Council purchased their first two stallions, for £20 each: Gold Digger (5), five year old dun standing 13.2 hh and Connemara Dan (3), two year old black standing 13.1hh, both registered at Cashel. Mount Gabel (6) seven year old bay, 13.2hh registered in Clonbur. An inspection programme got underway in April 1924 offering 125 free nominations of £1 to brood mares of suitable types selected at centres throughout Galway . These inspections were central to the foundation of the Stud Book and have continued to be an integral part of the monitoring and safe-guarding of the breed up to the present day. The first Connemara Pony Show was held at Roundstone on 15th August 1924 and there were 500 entries overall, 150 entries in the Connemara Pony Section. The opening ceremony was performed by Prince Ranjitsinhhi, renowned cricket player, who had recently come to live at Ballynahinch Castle . The Connemara Pony Stallion Class and RDS Silver Medal was won the Society’s own stallion, Gold Digger (5), with Cannon Ball (1) aged 20 taking 2nd place. The second annual show was held at Recess, with the 3rd to 23rd Shows being held in Carna. In 1947 the 24th annual pony show was held in Clifden and from that year onwards the Annual Show has always been held at Clifden. In 1951 the Royal Dublin Society arranged for classes for Connemara Ponies to be included in their Spring Show for the first time and every year since with increased classes and number of ponies taking part. Volume 1 of the Stud Book was published at a cost of £45 and priced at 1/-. in 1926. It contained details of nine stallions and ninety three mares. The latest published volume of the Connemara Pony Breeders Society Stud Book; Volume 21 dates from 1999 with the breeding stallion number standing at 1,043 and the breeding mare numbers at 11,621. The Connemara Pony has been exported worldwide and has been promoted by the Irish Diaspora as a tangible link to Ireland and in particular Connemara. A list of these Societies is as follows. 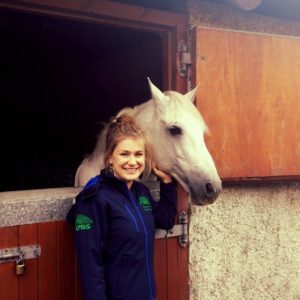 A major aim and objective of the Connemara Pony Society is to raise awareness and appreciation of the Connemara Pony, which the Society feels, is an integral part, not only of the heritage of Connemara , but indeed Irish heritage. 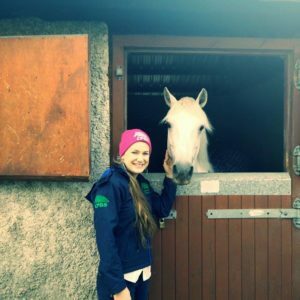 Over the years the Connemara Pony Breeders Society have undertaken a number of initiatives to raise this awareness and appreciation. The Society has been running an annual pony show since its foundation in 1923. The annual show brings together the largest collection of Connemara ponies seen anywhere in the world and is used as market window for breeders from both Ireland and overseas. 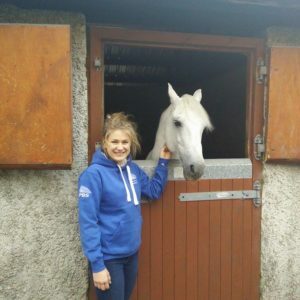 One of the primary function of the Connemara Pony Breeders Society is the maintaining of the Connemara Pony Stud Book. All sires and dams are recorded in the stud book. It is also a function as a register of all births of Connemara Ponies throughout the 32 counties of Ireland . This book encapsulates the breed standard and rules for the parent society and all societies worldwide. This book is a continuous record since 1923. The Connemara Pony Breeders Society has 21 volumes of the stud book. Since 1992, both a hard copy and computerised version of the studbook are produced. The Society minutes from the foundation of the society. Records of all Society business. The Society acquired the present showground in the 1960’s to stage the Connemara Pony Show. Over the years this voluntary society was inundate with queries from the general public, schools, breeders and overseas visitors for information on the breeding lines of the pony, factual information about the pony, information on breeders of the past, how ponies were bred in the past, their use and contribution to the local economy, famous Connemara ponies, the type of habitat, environment and landscape the ponies thrived in. Many people enquired about how they would have been used by farmers, fishermen, etc. (prior to the introduction of mechanisation). In 1995 the Connemara Pony Breeders Society decided to establish a heritage centre / museum dedicated solely to the Connemara Pony, given this great interest in Ireland ‘s only native equine breed. The Connemara Pony Breeders Society undertook a major fund raising initiative to establish and develop the heritage centre / museum dedicated to the breed. The purchase of the site and the building of the centre cost €360K. This was funded via various fund raising initiatives that were undertaken by the society members, breeders and the general public, as well as a grant of €120K from Galway Rural Development through the Leader Programme. Visitor care, services and marketing. After an initial meeting between members of the Society and Ms Marie Mannion , in early 2003, it was decided that the development of an exhibition would be the area which would be addressed in 2003. Therefore the Society developed an exhibition that outlined the Heritage of the Connemara Pony together with the history and development of the Society. In February 2003, the Heritage council granted the Connemara Pony Breeders Society €2000 towards this exhibition. It was decided to contact Mr. Robert Heslip to assist the Society in developing this exhibition. Members of the Society undertook research into the history of the pony and the Society. This involved collecting and collating photographs, press cuttings, researching published materials, consulting the show catalogues, stud books, membership books and conducting interviews. What is a Connemara Pony? This exhibition was launched as part of the Connemara Pony Show in August 2003. The exhibition has been developed in such a manner that it can be easily transported to various events which the Society holds during the year. There has been very positive feedback from members of the Society, members of the public, overseas visitors, and the schools in the area. The Society now proposes to concentrate on the management of the Society archives, the documentation of the collection and making of this information available to the public in adherence to the principles of best practice.